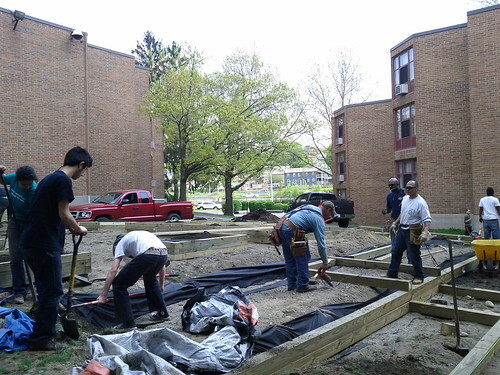 Today a group of neighborhood residents, local kids, people from Youth In Charge, people from Toxic Soil Busters, and an amazing volunteer work crew of union carpenters (Local 107) built a community garden in Plumley Village. 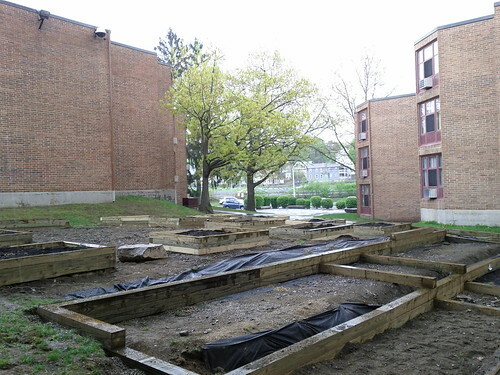 The raised beds were previously built custom and delivered by YouthBuild. 24 Plumley families have already signed up for garden plots. 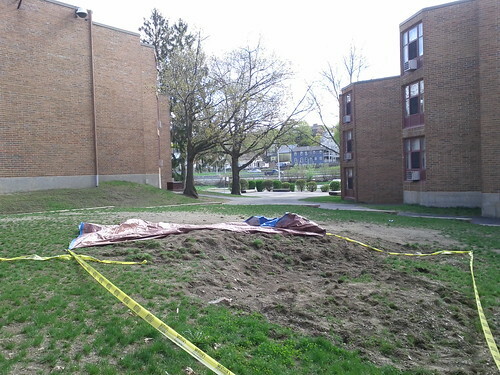 Compost was provided by the city, and gardening support from the REC. Thanks as well to UMass Memorial for supporting this project.